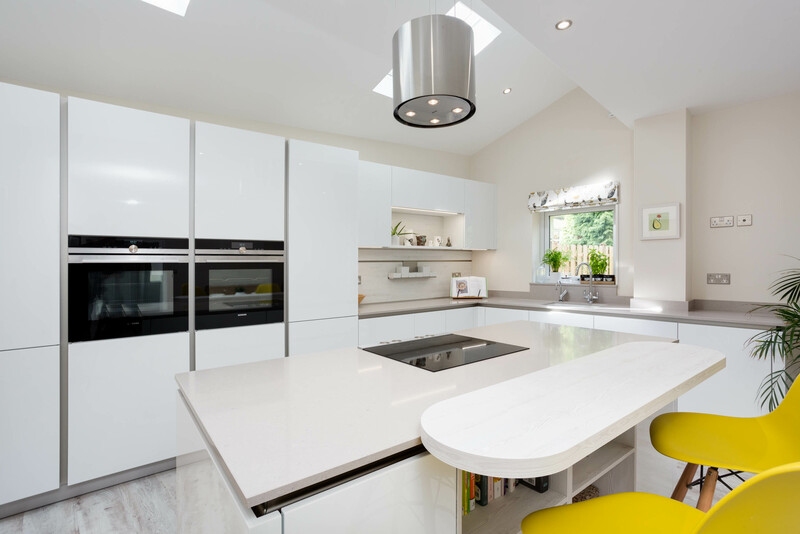 Deborah opted for a Gala- crystal white high gloss finish, when deciding on her kitchen. 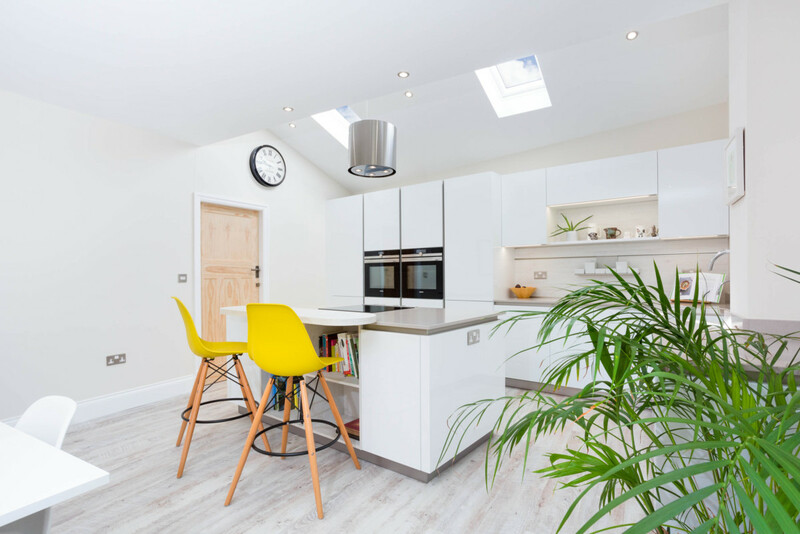 This crystal white, really gave the kitchen a look of cleanliness and really added brightness to the room! It is a stunning kitchen fitted by the Kitchens of Desire team. 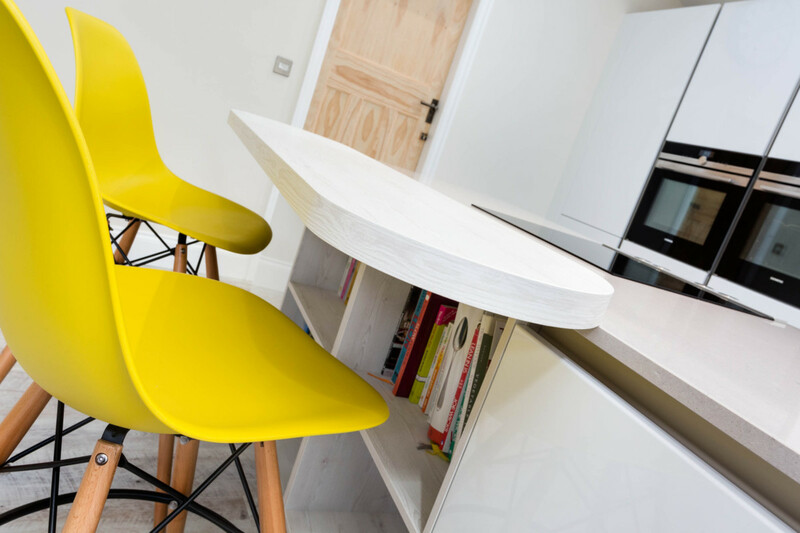 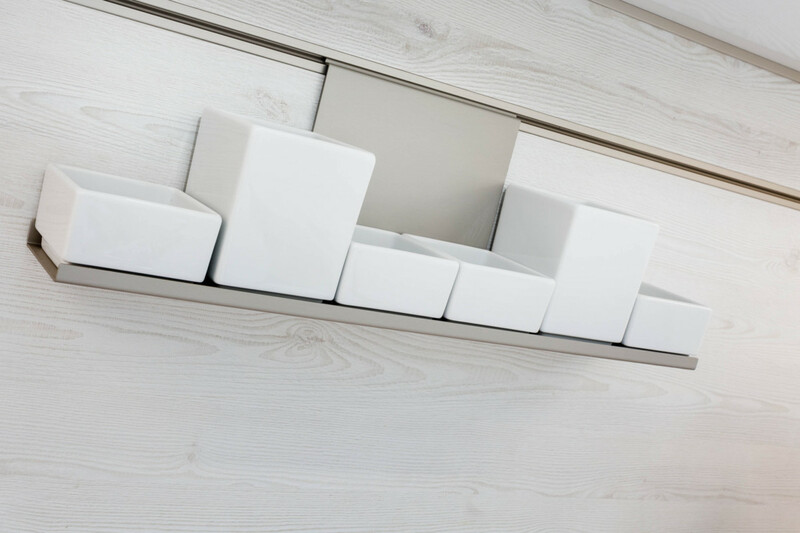 It really follows that contemporary style and gives it the look of a designer kitchen. 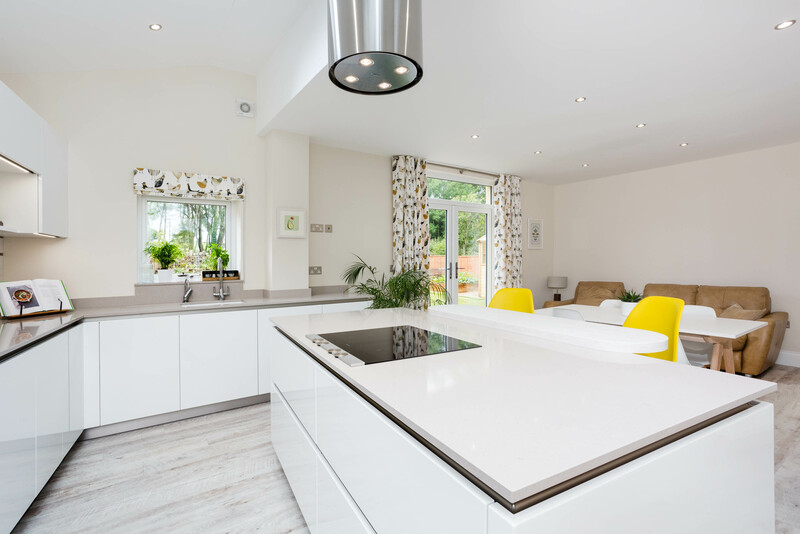 The option of an island added hugely to the amount of worktop space, along with the Siemens hob in the island making it easy to socialise while cooking! 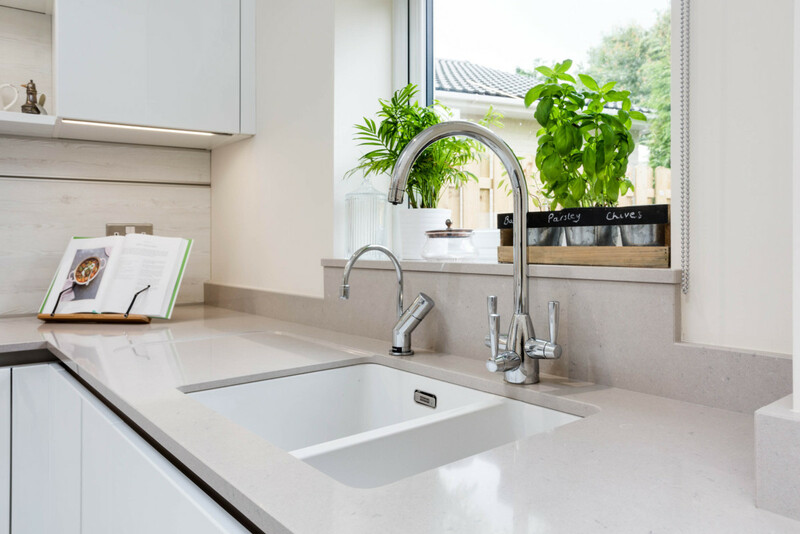 She also decided on a Quooker boiling water tap, meaning no need for a kettle and the possibility of boiling water in seconds.